Check it out, it is the new PSP Phone. It has a good look, but I’m skeptical of the touch pad replacing the analog nubs. Around the time of the Tokyo Game Show, Sony held a private meeting at its offices in Tokyo’s Aoyama. The purpose was to show off the PSP2. The screen itself is not only sharper than the current PSP’s, but about an inch larger. The larger screen means that the PSP2 will be larger as well. In the private meetings, Sony is touting the screen as “HD”. In late September, there were also reports that the PSP2 hardware was in the hands of “numerous” developers. Currently, the PSP2’s hardware is not finalized, and Sony is having problems balancing battery, power and heat. There are apparently overheating issues, but Sony is, of course, aiming to have those issues corrected by the time the hardware is publicly shown. Sony set the PSP2’s goals (what Sony wants it to do), but is still tinkering with the portable’s innards. The PSP2’s tech specs are expected to change, meaning that things like chip size and processor size are variable. Sources tell Kotaku that the PSP2’s release window is fall 2011. Sony is not yet talking openly about the PSP2. Good news, but I wish it was more portable and not bigger. The PSP 3000 size is plenty big. 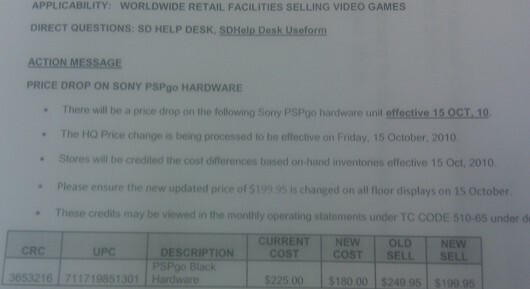 Also – the PSP Go price cut is official, it is now $200 in the US. Collected by gamersmint.com is a gallery of 14 PSP2 concepts, my favorite is probably the second. There are some pretty cool ones that I haven’t even seen, Enjoy! It looks like there’s more evidence that the PSP2 is coming. Not just another revamp, but a new device entirely. Or… the PSP is going to be shelved. 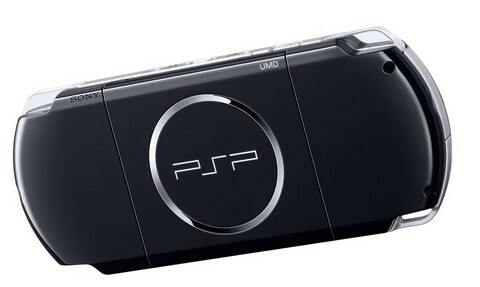 In the past, a few high-profile companies said that they had the new PSP2 models, but no other official words have been stated. Alright, as you can see from this YouTube video, you move around your block and try to avoid the evil black boxes with your analog stick. Your score increases as time goes on and go through levels. It’s pretty simple, but addicting. You guys should try this out!